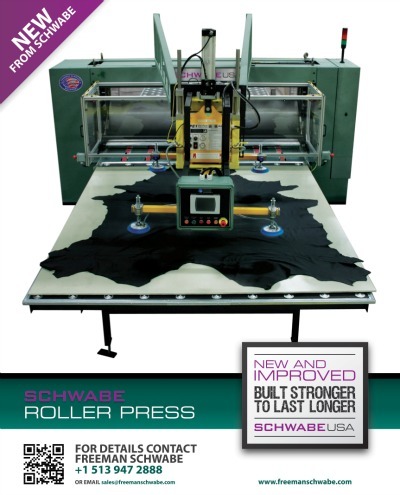 SCHWABE Roller Press is built Stronger to last Longer than lightweight Roller Presses, and is the ideal Roller Press for die cutting whole (or half) leather hide. Right click to save / download and resize to print. 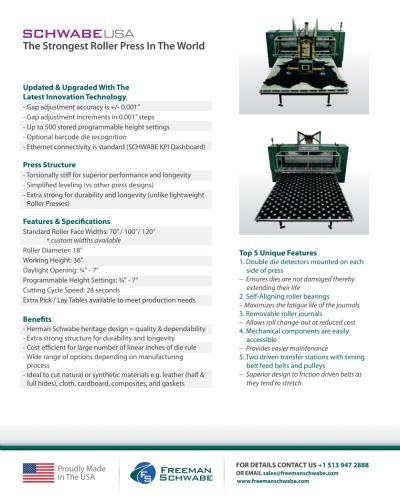 This entry was posted in Roller Press and tagged roller Press, schwabe presses, whole hide die cutting. Bookmark the permalink.